Many Australians meet partners from other countries and develop serious, committed relationships. It is often not until a couple decides that they want to live together in Australia, that they become aware of the bewildering list of requirements that need to be met. This is often a very emotionally charged time, especially in new relationships. Regardless if this is a new or long-standing relationship, the process can be very stressful, costly and frustrating, if not handled correctly. Every visa has different requirements that need to be met in terms of establishing the relationship and the supporting documentation. 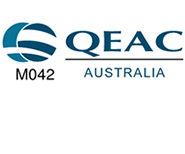 Certain visas can be applied for onshore, while others must be applied for offshore. See more details further down this page. Dealing successfully with partner visas requires a tactful and compassionate approach, as well as cultural sensitivity. It requires a practical and rational attitude to ensure that all the correct evidence and supporting documentation is provided. I have personally experienced this type of situation and I have a great deal of empathy with couples who are going through the process. I have the practical skills and emotional detachment to ensure that your application has the best possible chance of being successful. Refusals are expensive, stressful and can be avoided by expert advice. Please contact us for an overview of current requirements and to work out the best strategy for a successful application. You may be eligible for a partner visa if you are in a relationship with an Australian citizen, Permanent Resident, or eligible New Zealand citizen. There will be additional requirements for sponsors which will include a separate sponsorship assessment. The sponsor will need to be approved as family sponsors before any relevant visa applications can be made. sc. 820 partner visa is a 2-year temporary visa, which can be applied for in Australia by people who are in a married, de-facto relationship or registered relationship. sc. 801 partner visa is a permanent partner visa. When you apply for the temporary visa, you also apply for the permanent visa. In some instances, you can be granted a permanent visa without having to wait 2 years first. sc.300 prospective marriage visa is a temporary visa that allows you to travel to Australia and marry your partner within 9 months of the grant of the visa. After you have married your partner, you can apply onshore for the sc. 820 visa. sc. 309 partner visa is a 2-year temporary visa which can be applied for outside Australia by people who are in a married or de-facto relationship. sc. 100 partner visa is a permanent visa. When you apply for the temporary partner visa, you also apply for the permanent visa. In all instances, the applicant and sponsor must provide solid evidence that the relationship is genuine and on-going. De-facto applicants must provide evidence that they have been in a de-facto relationship for at least 12 months, before the application is lodged. This requirement may be waived where there are compelling or compassionate circumstances or when the relationship has been registered. When making a valid application onshore you will be granted a bridging visa. 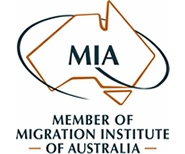 Bridging visas normally have the same conditions as your last substantive visa. It is possible to apply for work rights while on a bridging visa with a “No Work” condition. 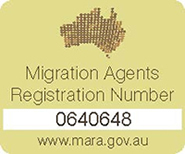 If you are in Australia and you have a visa with condition 8503, then you will not be able to apply for a partner visa onshore, unless a waiver of the condition can be obtained first. Schedule 3 requirements apply to people who, at the time they apply for a sc. 820 visa, are either unlawful or hold a bridging visa. If that is the case, the applicant must satisfy Schedule 3 criteria 3001, 3003 and 3004, unless the Minister is satisfied there are compelling reasons for not applying those criteria. “Compelling reasons” is not defined in the Migration Regulations and this means that the meaning of this open to interpretation by case officers. Previously many applicants managed to get a waiver from schedule 3 criteria relatively easily. 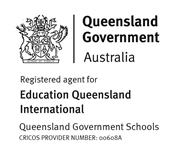 However, the DIBP have now changed their interpretation of ‘compelling reasons” and in most cases, it is much harder (if not impossible) to get the schedule 3 criteria waived. Note also that the new interpretation is applied retrospectively. If you are affected by schedule 3 criteria seriously consider if it is likely that you will qualify for a waiver and if it is worth to lodge an onshore application, as refusals are very expensive and immensely stressful. If you have already applied for an onshore partner visa and you get a request to submit information regarding any compelling reasons to waiver Schedule 3, make sure you properly address the request. If the relationship breaks down during the application process, there can be all sort of unintended consequences for both the sponsor and the visa applicant. For most people, it is incredibly stressful to have to deal with visa issues on top of the emotional turmoil of the relationship coming to an end, especially if there are children involved or there are family violence issues. We provide quick and discreet phone or email consultations so you can discuss your options and obligations.